Amsterdam, Berlin, Vienna, Lisbon, Madrid and Warsaw are innovative, dynamically developing cities with rich history and culture. 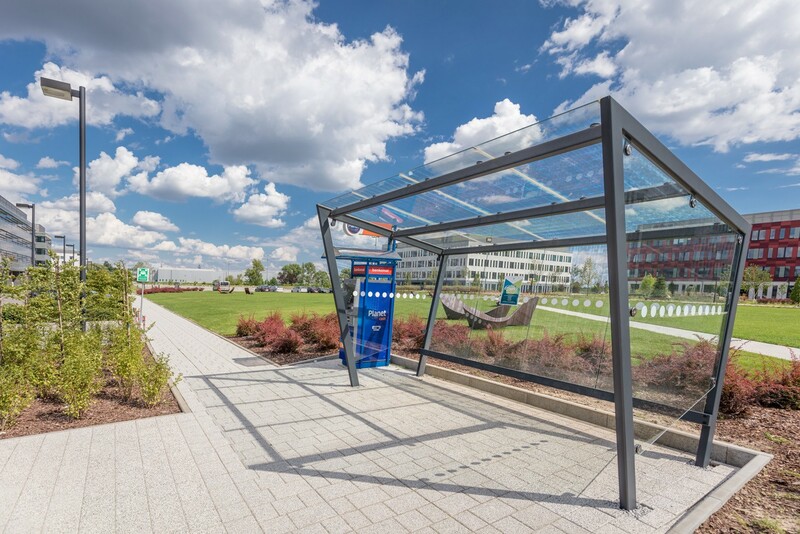 They were the starting point and an inspiration to create the Poleczki Park branding concept,in other words the new business capitals. 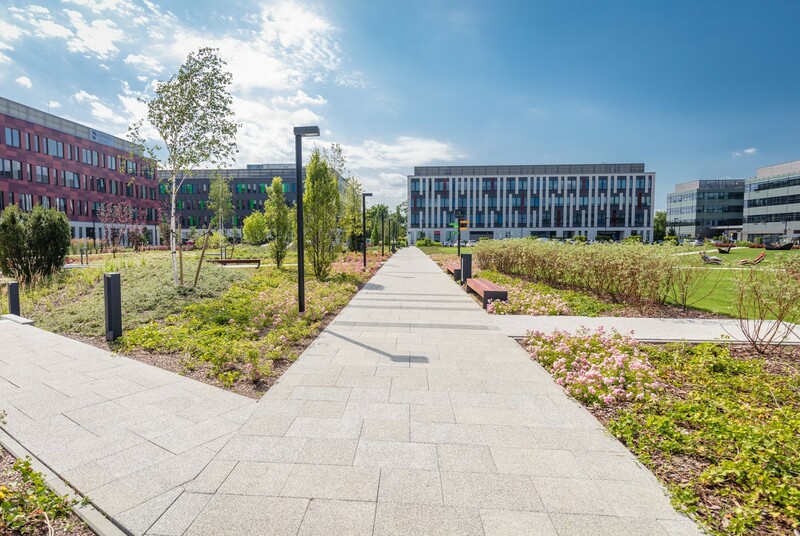 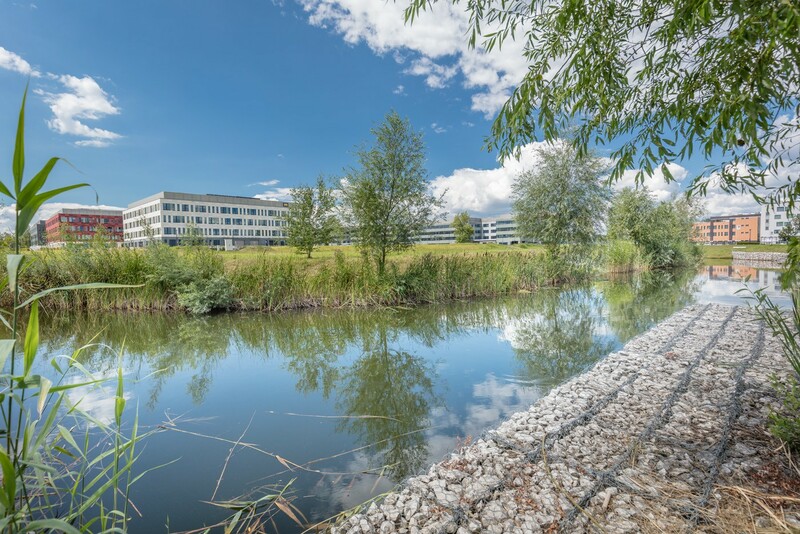 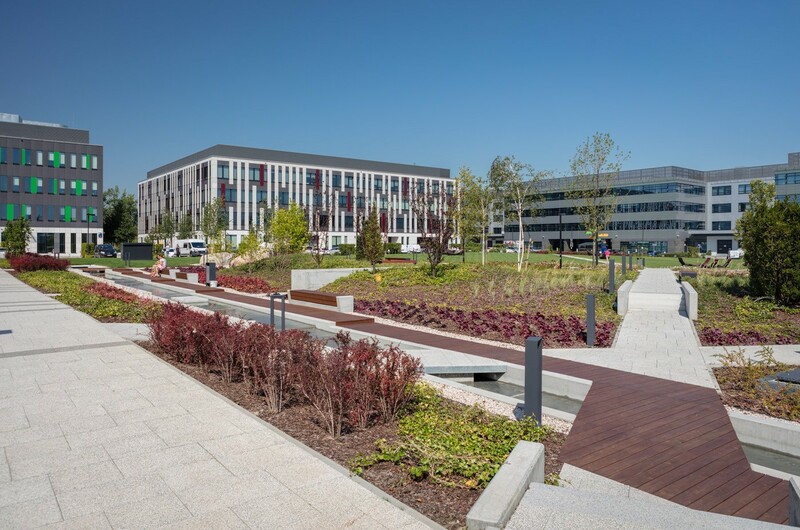 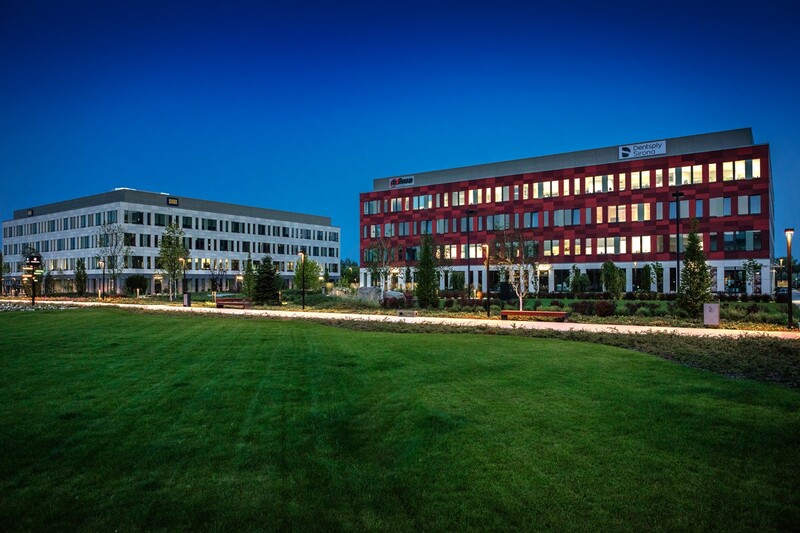 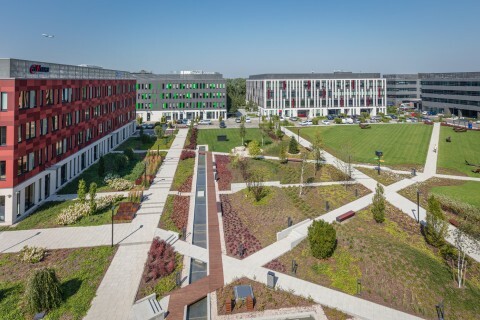 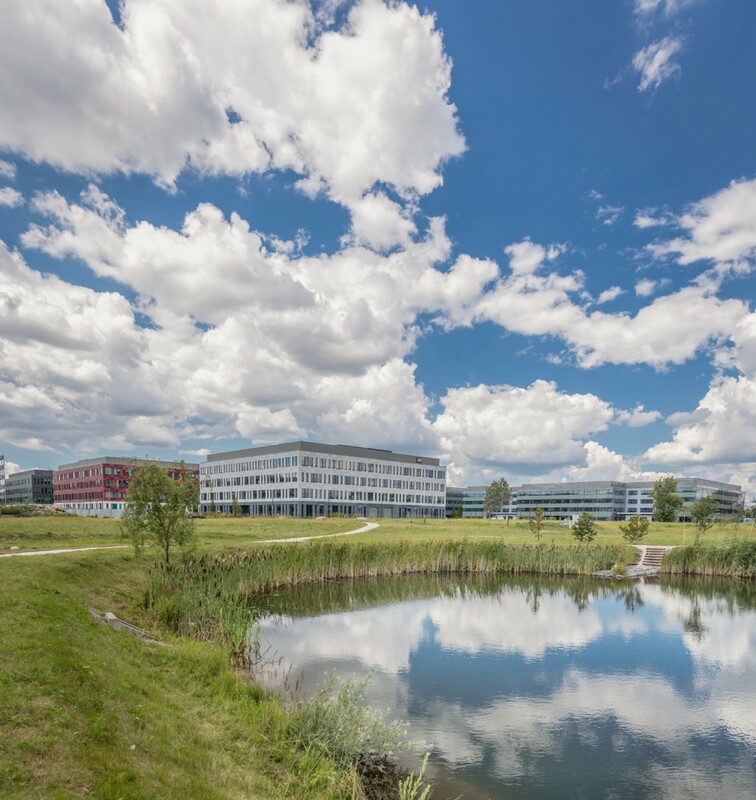 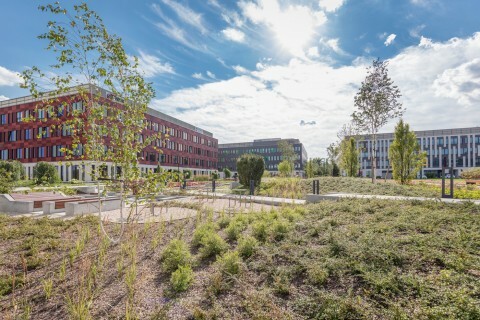 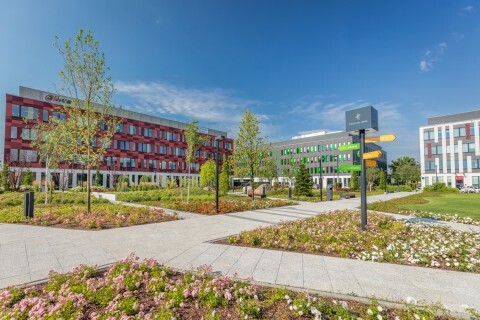 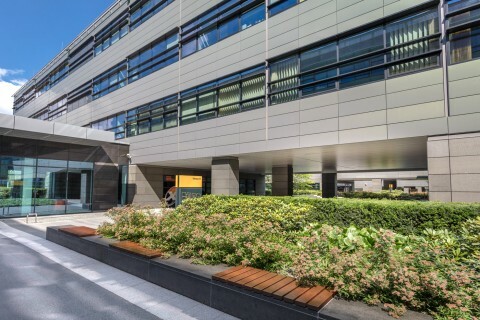 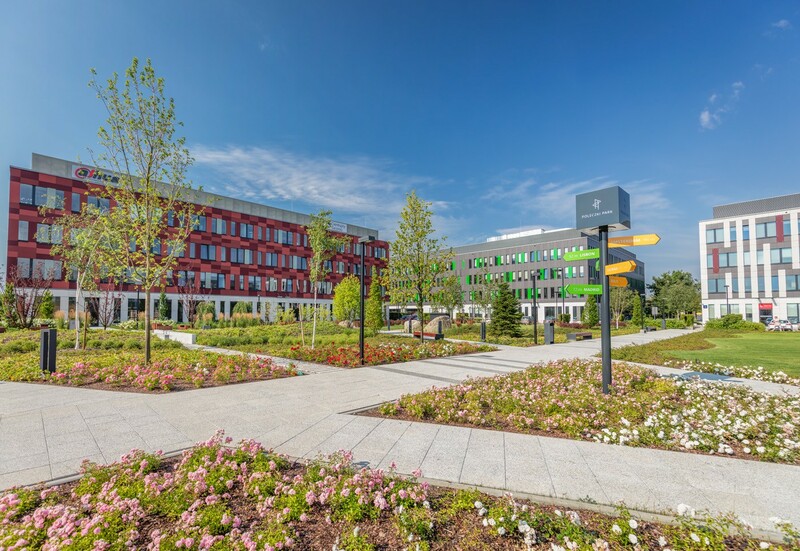 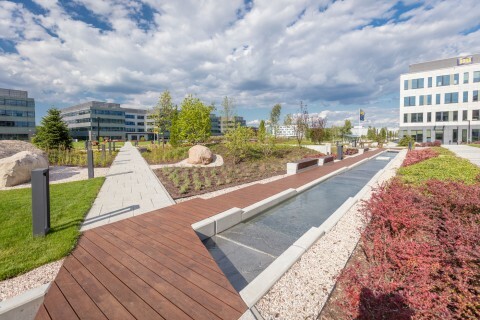 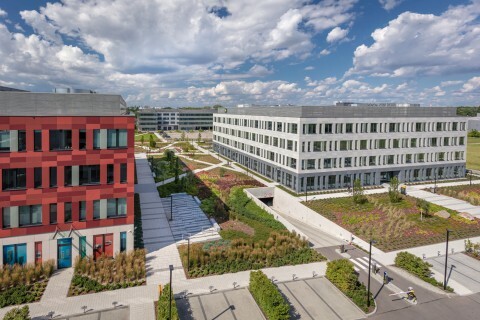 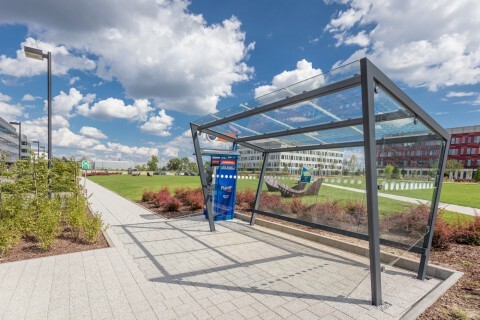 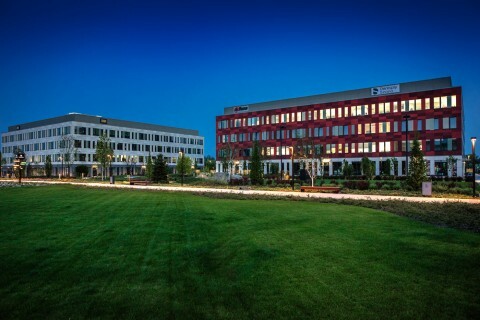 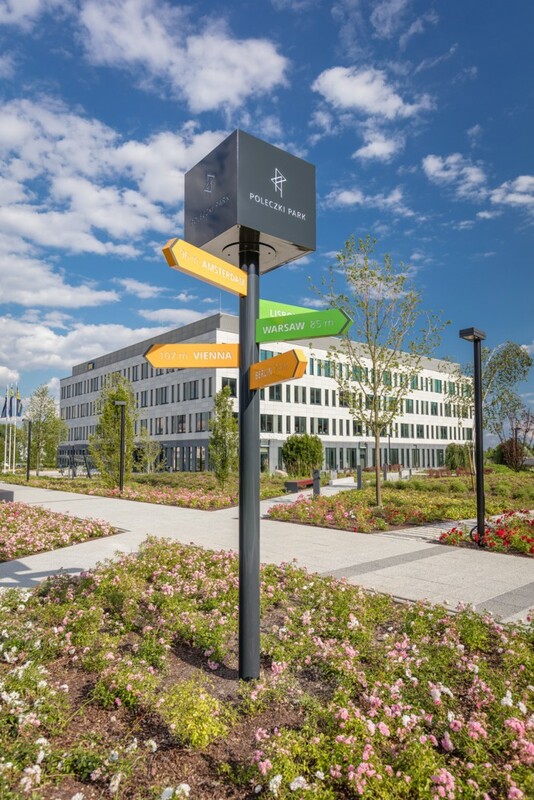 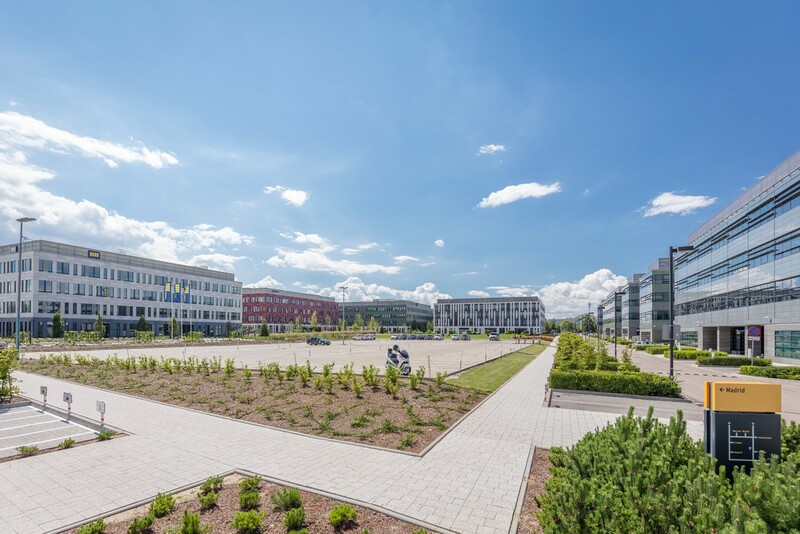 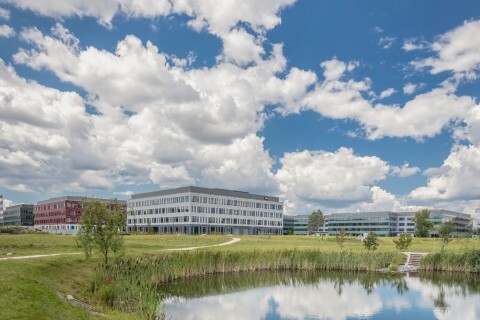 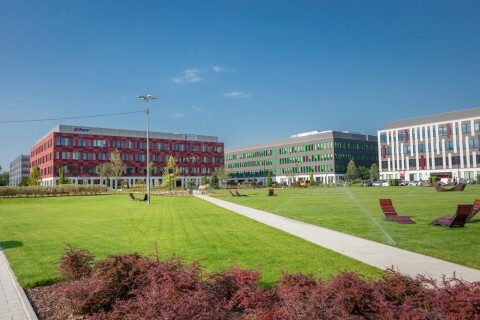 Six environmentally friendly, functional office buildings located within Poleczki Park are named after these European capitals. 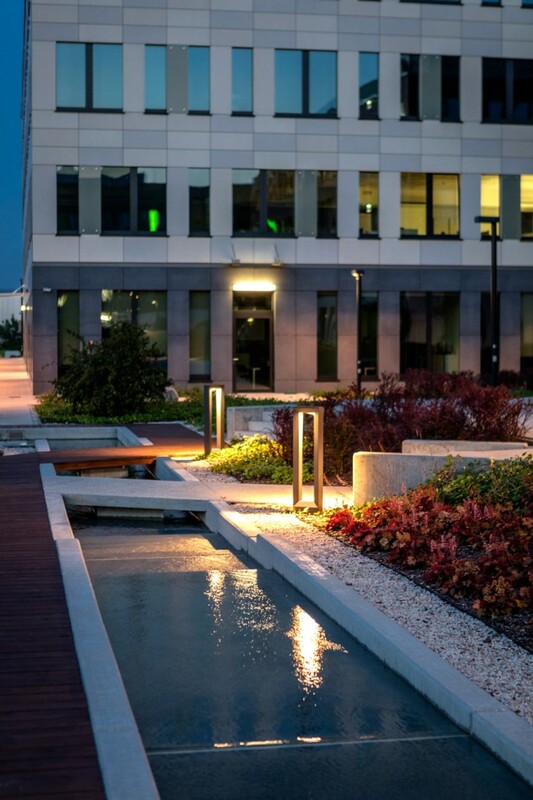 It is a perfect space for business, an oasis of creativity and a convenient workplace. 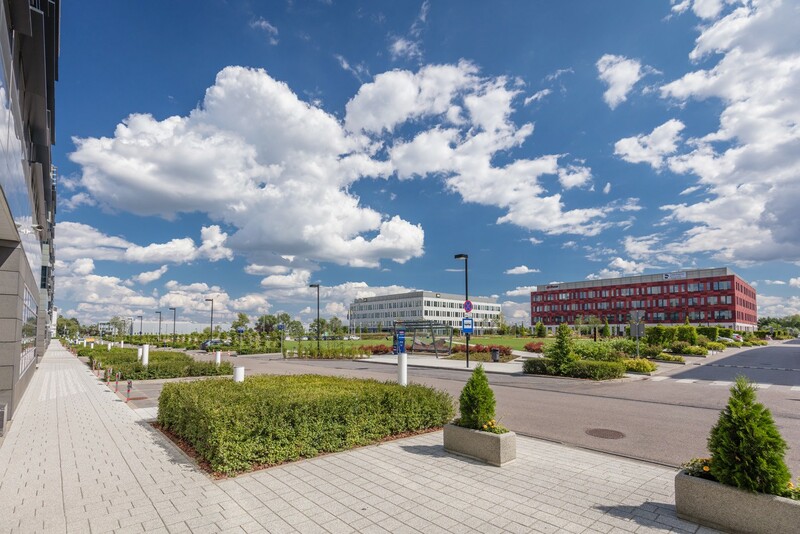 The business concept and the development direction of the complex are expressed in the tagline Capitals of Business. 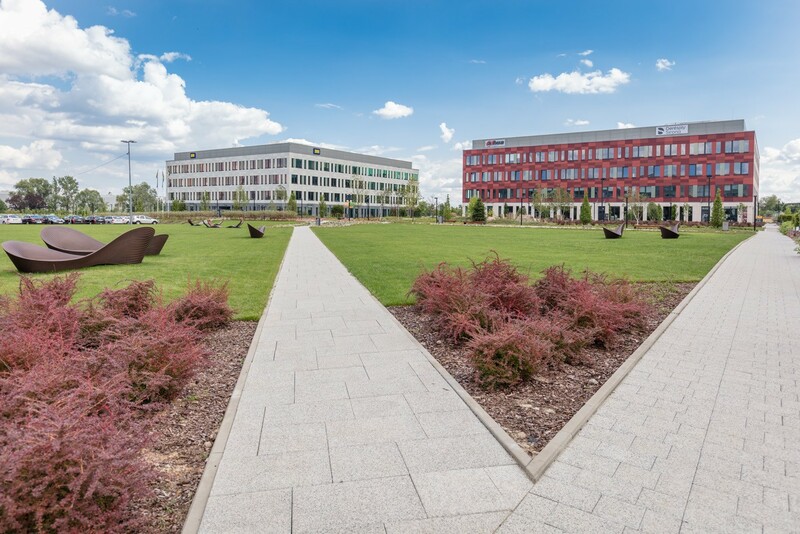 The green areas in Poleczki Park are divided into several zones, purposed for leisure, entertainment or work. 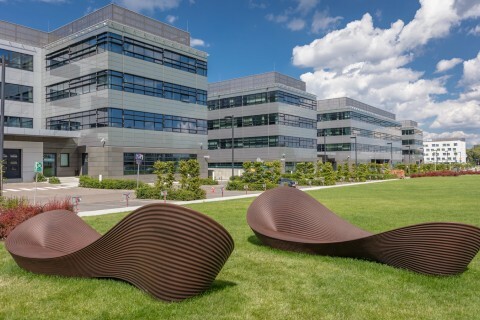 Designer benches and comfortable wooden loungers invite to relaxation. 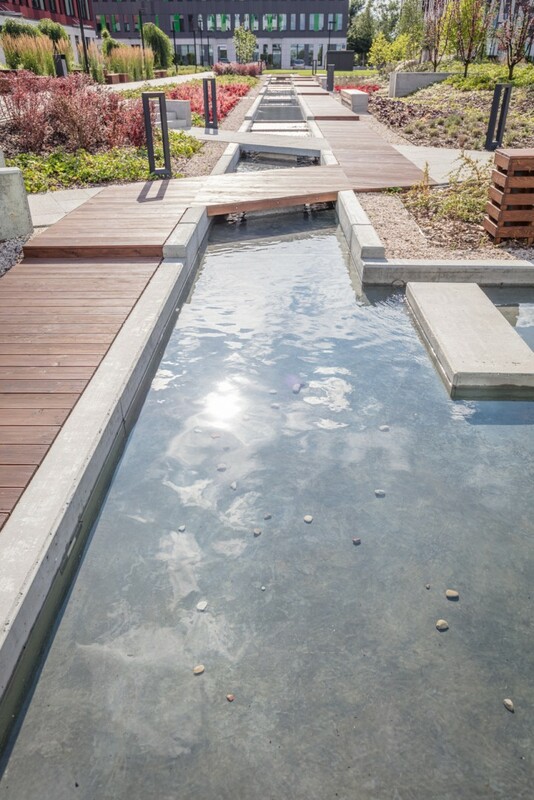 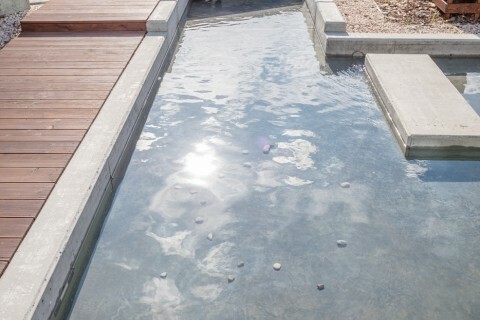 The area around the fountain, the pond with its surroundings and the terrace near the café are not only attractive destinations for lunches or meetings. 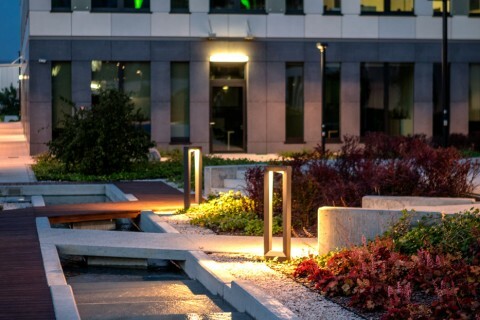 Many interesting events organized for the employees on a regular basis also take place in the Capital Square.